A major piece of the puzzle entitled "How the hell will these guys get that pole in the ground?" is a 'tool' the likes of which I'd certainly never seen before. Here it's being used as a cutting board to slice watermelon. And here it's being used as it is intended to be used. The yellow and red sticks you can see lying on the ground in the first picture turned out to be really important in the installation too. Made of metal, they have barbs on one end. 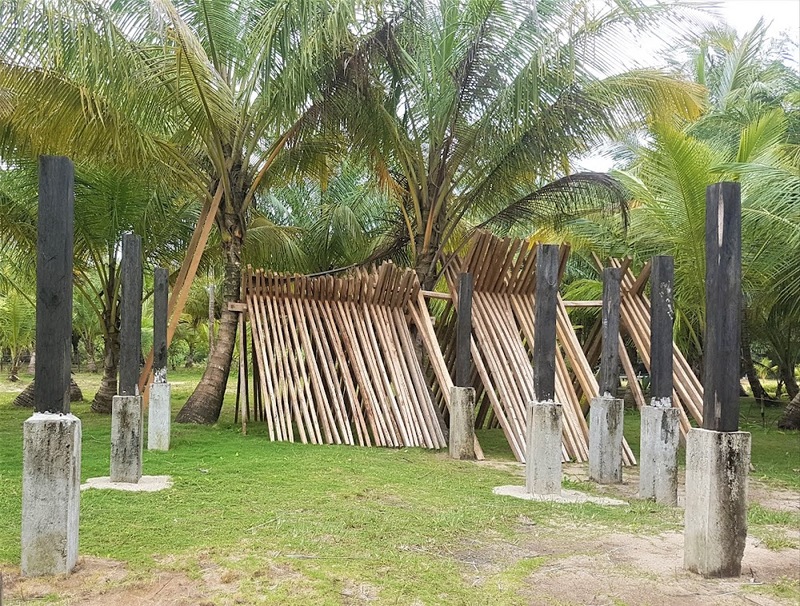 As a pole is lifted into the air, each man with one of these sticks, stabs his stick's barb into the pole, helping to hold the pole in place as it's lifted and soil is tamped around the base to set it.